Mystic is the perfect place to spend a few days when you want to relax in a charming, low-key setting. And with everything from the seaport to a nearby dinosaur park, there’s something that will pique the interest of everyone in your family. 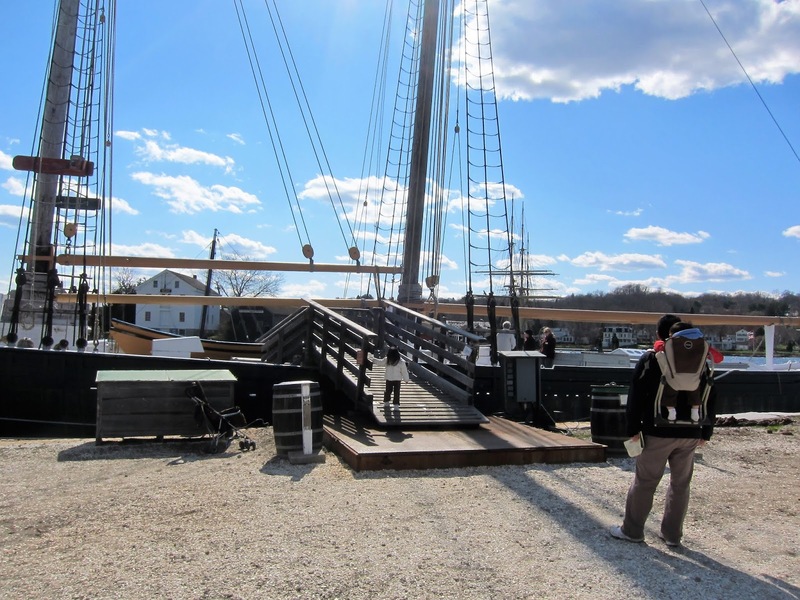 The biggest draw here is Mystic Seaport, an indoor-outdoor nautical museum that will appeal to young and old alike. Step aboard the last wooden whaleship in the world, learn to tie knots like a sailor, swab the deck in the children’s museum, build your own toy ship — the kids’ activities are endless and all set against the backdrop of the beautiful Mystic River. 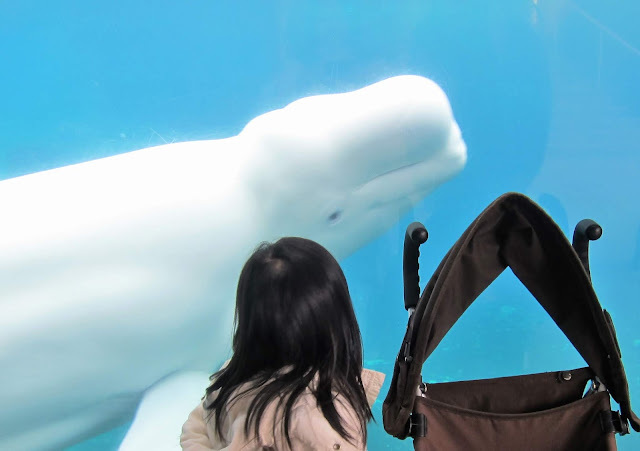 Also in the area is the Mystic Aquarium, with its many touch tanks and impressive beluga whales exhibit. This aquarium is just the right size for little ones. Then there’s all the shopping: Spend an afternoon browsing the cute shops and cafés in Olde Mystick Village, where you can pick up anything from a new kite at the Mystic Kite Shop to fresh fudge at Franklin’s General Store. 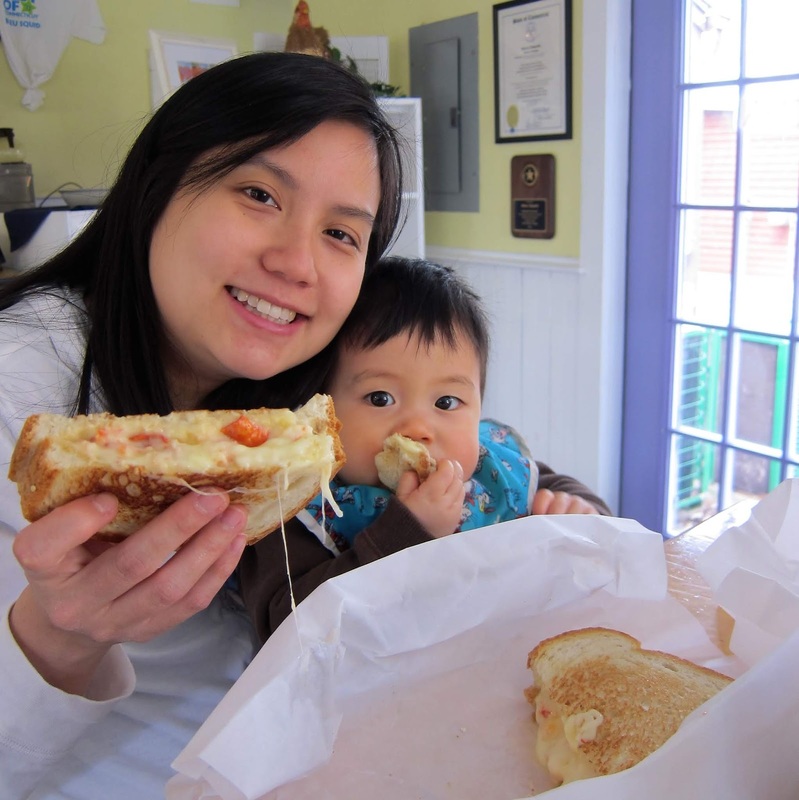 If your family is big on grilled cheese, run — don’t walk! — to the Bleu Squid Bakery & Cheese Shop in Olde Mystick Village. The lobster grilled cheese was literally the best sandwich I’ve ever had. After you polish off your ooey-gooey lunch, choose one of the beautiful cupcakes for dessert. No one will leave unhappy. 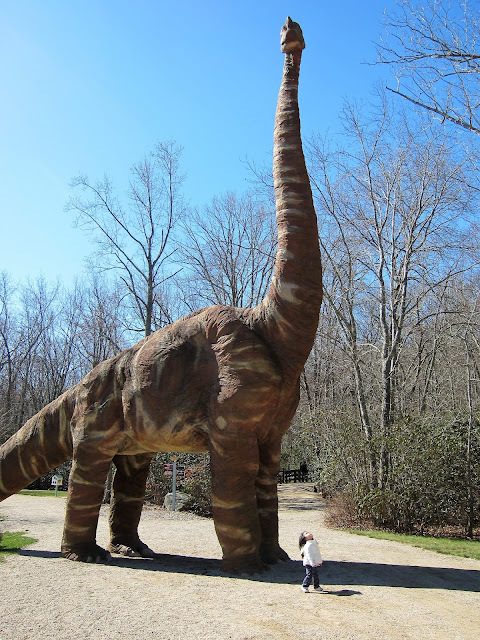 Make sure to carve out space in your itinerary for nearby Dinosaur Place in Montville, CT. This 60-acre park is populated by more than 40 life-size dinosaurs and also features one of the best playgrounds I've ever seen. In the summer, a splash pad is open for cooling down and ice cream is sold at the gift shop.